Music as always been part of Louis’s life. He started with the violin at the age of 5, and the guitar at 13 years old. 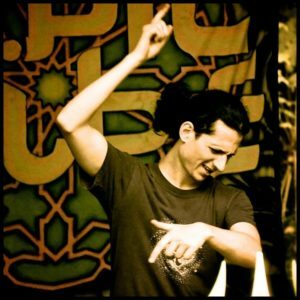 Always interested by many genres, and after been working with diferent bands (heavy metal, rap, funk), he created the project Suduaya with a focus on psychedelic groovy sounds for dance foors and spiritual and emotional inputs for chillout stages. His second full lenght album ‘Unity’ released in 2013 gave him the oportunity to play in diferent part of the world, in about 20 countries and 4 continents, on events like S.U.N. Festival (Hungary), Summer Never Ends (Switzerland), Tree Of Life (Turkey), Utopia Boom Landing (Portugal), Hadra Festival (France), Ometeolt (Mexico), DOOF Festival (Israel), Transition Festival (Spain), The Experience Festival (Thailand)… Over the years, he has made diferent collaborations and remixes with Liquid Soul, Sideform, Lupin, Egorythmia, Lyctum, Makida, Vertex, Faders, Irina Mikhailova, Zero Cult, Ovnimoon, By the Rain, Aioaska, Koan…and released on various labels as Iboga Records, YSE, BMSS, Cosmicleaf, Altar Records… 2017 is coming up as another important year for the project, with the release of a new album on December 2016, 3 years after ‘Unity’, and many new collabs.